First Beach Library 1698 Estero Blvd. 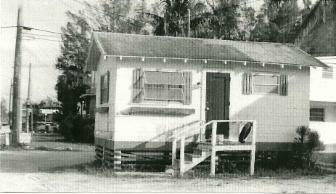 This is the original site and structure of the Clem and Lucy McGee cottage which served as the first beach library in 1955 and 1956. It rented for $300 per year, but could hold no more than four to five patrons as well as 1,200 books classified by the Dewey Decimal System. It opened with volunteers for a few hours each day and a few days each week. In 1957, the library relocated to a larger cottage on Avenue A, with a collection of 3,000 books. Rent was $75 per month. Twice before, in 1955 and 1959, the little " cottage" libraries relocated because there was not enough space for books, people or parking. 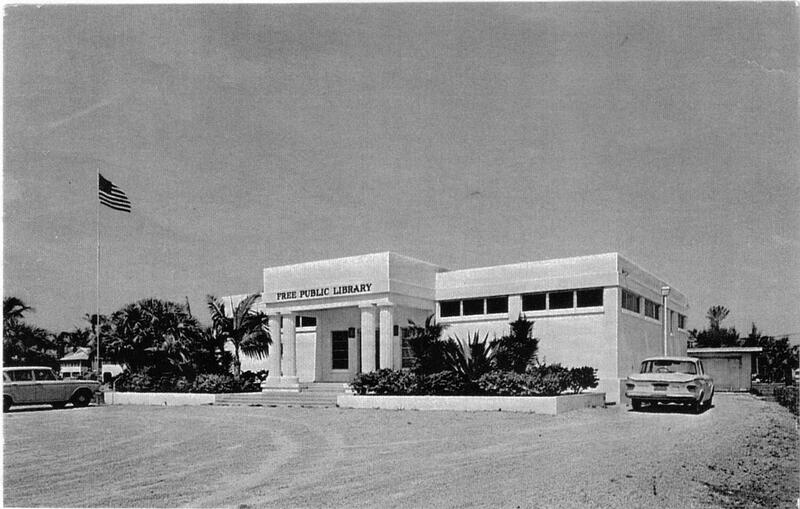 By 1960, this library site was purchased for the opening of the third beach library which was built on Oak Street in 1961. 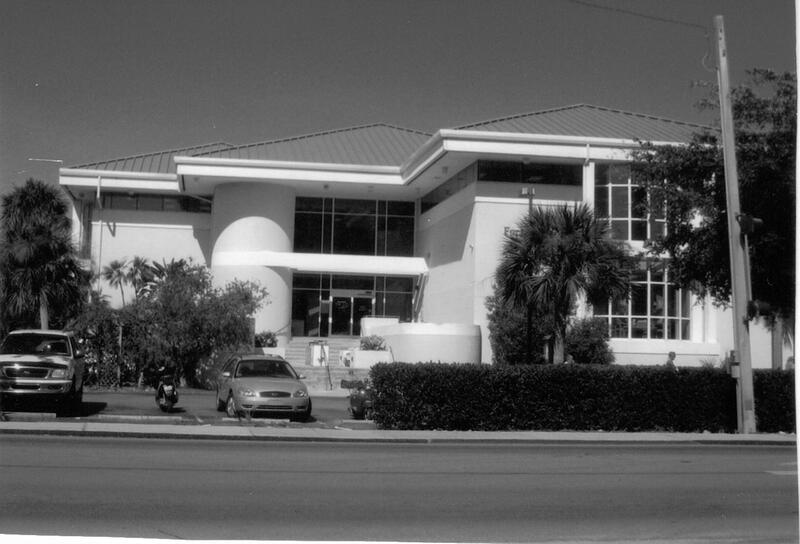 Later a permanent addition was added as seen here in 1978, when the library Board moved to purchase the adjacent Estero Blvd. property for expansion and much needed parking. In 1994 this two story structure opened facing Estero Blvd., as seen above. It introduced computer resources, educational children's and patron programs, as well as additional parking. Today, the new three story wing expansion opened in 2012 with an internet cafe, pre-owned bookstore, classrooms, senior meeting rooms and covered parking. Extensive library services are now assured for future generations.